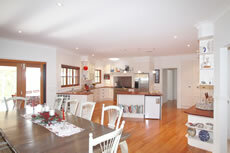 Custom design for kitchen and kitchen renovations. Perfect finish. Understanding your needs as a Customer is what we specialise in. 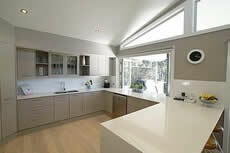 We work with you to create the perfect kitchen design to suit your requirements. 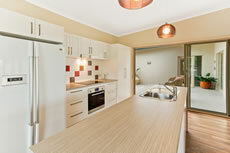 Contact us and start your new kitchen today. 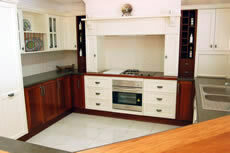 There are few operators who actually can design and make genuine custom designed kitchens. 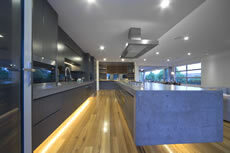 A true custom made kitchen starts with a designer who is only limited by what can be physically made. 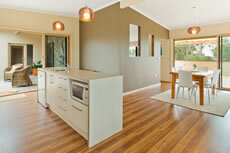 A good designer can completely tailor the design to suit the requirements and the space. 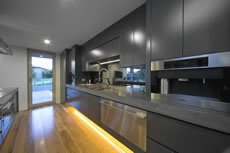 A good custom kitchen designer will factor in possible changes to wall and window placements as this can provide for a far better result in the design and long term use of the kitchen. 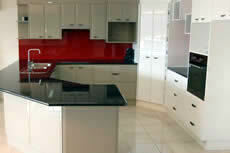 We use leading brands and high quality fittings and materials for the kitchen designs and installations. A large range are displayed in our showroom; cabinets, drawers, inserts, ovens, sinks, benchtops, accessories, glass splash-backs. The new manufacturing plant has the latest technology and has enabled us to make top class high end joinery and cabinetry. 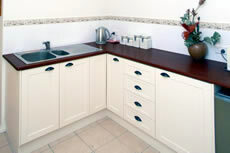 Capital Coast Kitchens also supply custom built joinery to many other joiners. Installing your kitchen/joinery is just as important to us as designing it, that’s why at Capital Coast Kitchens we employ qualified joiners who pay attention to detail to ensure your project is completed to perfection.